Your Holi-YAY! Box will need to include at least 4 winter holiday inspired items. • …you may include additional items and while greatly appreciated it is not to be expected. Please be mindful of mail time. Everyone would like to receive and enjoy their items while in season. Post your tracking number when MAILED and post a photo when RECEIVED. b) We ALL want to see the fun packages that are received! 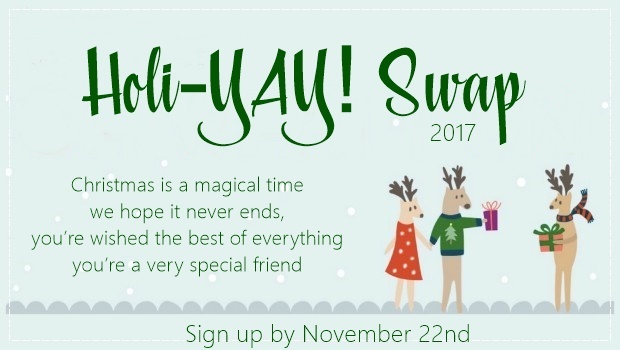 I’d be thrilled to have you join us!